From the tiny Principality of Monaco, an independent country surrounded by France and the Mediterranean. Monte-Carlo, known for its own casino, is an opulent microstate, together with the planet’s highest per-capita GDP: hemmed in between the hills and the sea. It’s among the very densely populated countries in the world. It is a tax-haven in so far as taxpayers don’t pay any income tax, but it isn’t a tax-free nation, and VAT is the same as in France. 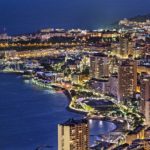 This does not prevent Monaco from abounding in prestigious luxury shops, and for visitors searching for the most famous brands in designer clothes, jewellery, and other luxury goods. Monaco offers excellent buying opportunities (as does Nice). The village of Eze, overlooking Cap Ferrat Some of the most expensive houses in France are clustered onto the little peninsula of Saint Jean Cap Ferrat, between Eze and Nice. 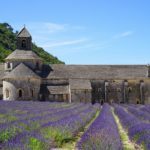 In the past, Saint Jean was home to celebrities, royals, and wealthy businessmen out of Paris or Switzerland. The Villa Ephrussi de Rothschild, a house and gardens now open to the public, is a beautiful vestige of a bygone era; now Saint Jean Cap Ferrat is home to the global jet set. Inland, a couple winding mountain roads take visitors past breathtaking views, and up to old villages like Eze, huddled into narrow valleys or clinging resolutely into the sides of steep slopes.